Inspiring Judaism through the universal language of the Arts. For boys and girls ages 3.5 to 10. 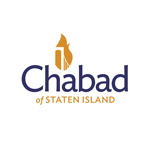 Email info@chabadsi.com or (718) 370-8953 for more information. Join us for a lively, homey Shabbat service with song and meaning. Followed by kiddush most weeks.